I couldn't find a Stampin' Up! sentiment in my collection with a "happy birthday" that suited this card so I dug through my old stamps from pre-Stampin' Up! days and found this one from Papertrey Ink which seemed to go quite well. 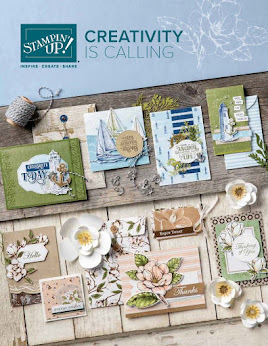 You might have a broader Stampin' Up! range than I so go ahead and pick whatever sentiment takes your fancy from your collection.